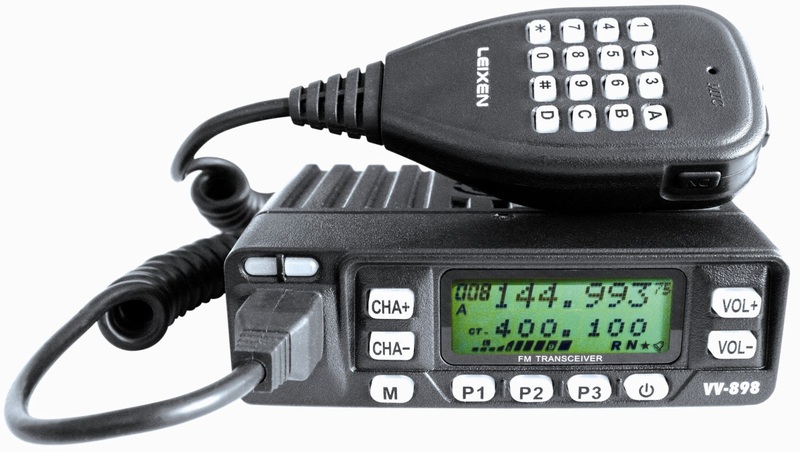 Leixen will soon be releaseing the VV-898 dual-band mobile. Picture and specs below. If it is less than $60.00 it might be worth it. I wonder if they did that just for me, so I couldn't break another one! I've asked about pricing. It looks like Leixen just releases other people's equipment under their name - their handhelds look a lot like rebranded Baofengs. I wonder who makes this one? As far as I know this is their design. I've not seen it or the VV-808 selling under any other labels. on the leixen website, it says under the warranty area, to take your radio to a HYT support location. so i'll gamble its some starter company under them. 10 Watts = high power? Oh sure. No air band RX? Well, maybe not. Needless to say, I don't have a very high regard for Leixen after their shenanigans with the VV-808. It only puts out 10 watts but if it's less than about 75 USD then I might see about picking one up to play with. Otherwise I can do without it. I'm betting they'll try to sell it for about $150 and it will be another flop. So I decided to go ahead and buy one. There are two listings on ebay uk from ostensibly different sellers at the moment. However the listing start times are the same to within a few minutes and the price + P&P is the same - making me think it's the same organisation behind it. I went for the one with free postage (better refund if it doesn't work). Following several email exchanges with Leixen and the seller, I'm still unsure whether I'll get the programming cable or not. I'm expecting delivery in two to three weeks based on previous experience. Leixen has confirmed that it is the same cable for the VV-808, VV-808S, and VV-898. I don't have 4 ,5 and 10w but only 3 and 7w . They are some trimmer sor setting for fine tuning output power?